How do I replace the Gear S3 strap? 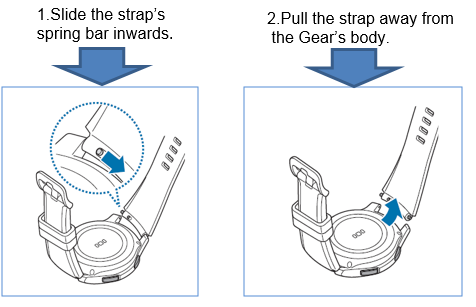 You can detach the strap from the Gear to replace it with a new one. Note: The band’s appearance may vary depending on your model. [Gear S3] Why it does not charge with multi charger? 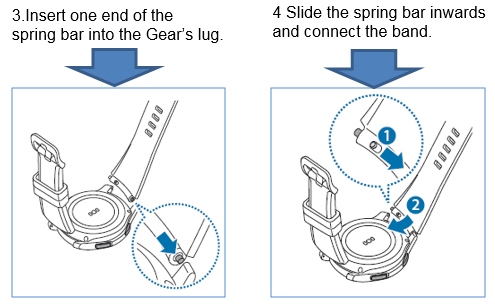 [Gear S2]How to restart if it appears to be not responding while using the touch screen?